Growing up in a Christian home, I would always hear how I was "born in sin, and shaped in iniquity" . However, outside of being a child of Adam and Eve, this statement was not explained to me. So, when I made mistakes, the emphasis was placed upon my decision, whether I chose right or wrong. I was never told of the struggles of my larger family, or my parents for that matter. 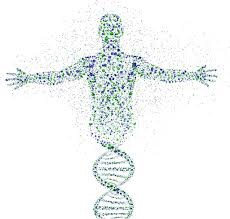 One third of every decision you make is dependent upon your genetic make-up, what you are predisposed to. The obvious things affcted by this are things like alcholism and drug-addicts. A child is born to an alcoholic or crack-addicted parent, the child is predisposed alcoholism and drug addiction. This is also true of moral things. Exo 20:5b; 34:7b ...visiting the iniquity of the fathers upon the children, and upon the children's children, unto the third and to the fourth generation. The Jewish mind took these as fate statements. These are not saying that my guilt is passed on to my child nor that she is fated to act on certain things, but my rebellion is passed on to my child, and she will struggle with the inherited tendency. Sin, lawlessness, is something that children naturally know. They are not born holy or pure. They know when they are doing something wrong, and they sneak to do it. This sinful tendency and desire my daugther got from me. We all know that behaviors and tendencies are passed on. A child who is separated from their parents from infancy will still act like their parents in some way. They will have likes and dislikes, and until they meet their birth parents these will either be over-looked or be a point of contention/curiosity. Once they are connected with their family, their people, much of their natural tendencies and choices will be seen in light of the greater family model. Child Guidance Pg. 442 In very many cases the parents are the real sinners. They have abused their marriage privileges and by indulgence have strengthened their animal passions. And as these have strengthened, the moral and intellectual faculties have become weak. The spiritual has been overborne by the brutish. Children are born with the animal propensities largely developed, the parents' own stamp of character having been given to them. We see from the Bible, as well as one Christian author, that there is something inherited, genetic, about moral failures. This has to be acknowledge by Christians at large, so that we may have some sense of compassion on people, and cease to be judgmental. People CAN be "born this way", and it is not God who made them that way...it is sin and their sinful ancestors. 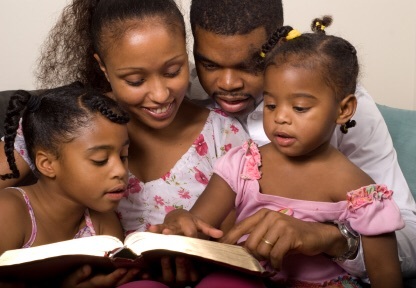 Deu 6:6-9 And these words, which I command thee this day, shall be in thine heart: And thou shalt teach them diligently unto thy children, and shalt talk of them when thou sittest in thine house, and when thou walkest by the way, and when thou liest down, and when thou risest up. And thou shalt bind them for a sign upon thine hand, and they shall be as frontlets between thine eyes. And thou shalt write them upon the posts of thy house, and on thy gates. In these verses we see that not only were the parents to have a certain belief and moral standard, but the children also, by virture of being properly taught and by virture of what they saw in the house. The will of God was to be a constant topic of conversation in the home, as well as visually represented in the parents and in the home. I wonder sometimes why people consider that church or school are adequate to teach their children appropriate moral or civil conduct, when what these children see from their parents, in their home on television, or hear via music, videos, or community outside, is contrary from the moral or civil codes expecting to be taught in school? Which side has better choice options...the left, or the right? We must be gracious with people. Look at who they are, whose family they belong to, and where they are from. It may be that at least 2 thirds of their existance is stacked against them. And who stacked this deck against them. Is it simply that their parents are wilfully rebellious or immoral? Does their family suffer from structuralized poverty driven by national capitalistic greed? Does their family suffer from structual and institutional racism? Does their single mother struggle with structuralized mysogyny and inequality? Whether you are rich or poor, you didnt ask to be here, you didn't ask for your parents, you didn't ask for the neighborhood you grew up in, you didn't ask to be poor or rich, male or female, American or non-American, Black or White, to be born to hippies or bigots? Life, with any combination of these above factors, was given to you, and you had no say in it: you were simply born that way. The act of picking or deciding between 2 or more options...that is making a choice. The fact that there are 2 or more things to decide of pick between means that there are choices. While we cannot choose our genes, parents and ancestors, the environment we were raised in, etc., what we can choose it to abide by the rules of morality and civility as best we can, based on what we have learned, are willing to learn, are learning, and understanding. When we choose we are saying that we are more than the sum of our family genes, environmental nurturing, or educational system. It is true that everyone cannot be everything. Everyone does not have access to the same options, resources, knowledge base, mental capacity. Heck, many times one's success at a thing is no much based on ability, resources, or knowledge base, but simply if one likes the thing or not. Additionally, the glass ceiling is real for women, the poor, and minorities. Not withstanding, it is within the grasp of each of us to learn all we are capable by either access, ability, and enjoyment, and make the best choices possible for us, in spite of our environment and genetics. Case in point: a Chicago urban prep school has 100% college acceptance rate, despite the fact the its students are young black men in a crime-ridden city. Or even the wise choices of Native American communities, who have chosen, through their Casinos, to harness the fiscal power of American gambling addiction to increase education, health care, and jobs among their people group. Now I can hear someone turning up their nose at the idea of gambling. I submit these facts for the wisdom of the Native American decision on this point: 1/4 of all Native American children live in poverty (versus 13% for rest of nation), Native American children graduate at a rate 17% lower than the national average, they have a higher substance abuse rate, they are 2x's as likely as other ethnic groups to die by age 24, they are 2.3% more likely to suffer trauma, 2x's more likely to suffer neglect and abuse, and their PTSD rates rival those of returning Afganistan veterans (http://www.washingtonpost.com/world/national-security/the-hard-lives--and-high-suicide-rate--of-native-american-children/2014/03/09/6e0ad9b2-9f03-11e3-b8d8-94577ff66b28_story.html). Among native children, the suicide rate among ages 15-24 is double the national average (http://www.csmonitor.com/USA/USA-Update/2015/0413/Tribes-battle-high-teen-suicide-rates-on-native-American-reservations). Please forgive me if I consider their casino industry a win for their people and a positive choice. I could enumerate the outside stimuli which placed and keeps their ENTIRE ethnic and culteral group in situations which allowed for these realities, but I won't. Jos 24:15 And if it seem evil unto you to serve the LORD, choose youthis day whom ye will serve; whether the gods which your fathers served that were on the other side of the flood, or the gods of the Amorites, in whose land ye dwell: but as for me and my house, we will serve the LORD. Choice is about doing. It is not about trying. Trying is an issue of effort, and gives the self permission to fail. Doing is an issue of will, and in our doing, if our doing has limitations, we have still done more than doing nothing, and have accomplished more than if we simpy "tried". It is important to remember that people can only choose the best options when the resources for, knowledge of, or options themselves are presen. Outside of this, we are left to choose the greater of evils, or best option of all bad options available. this is why it is important to not judge. While it may be evident that a bad choice was made, only God knows the inherited tendencies, envrionmental nurtured traits (education, resources available), accessibility to optimal options available to tbe person whose shoes we have not worn. Regardless of genetic predispositions and environmental nurture, we still have the ability to choose to do civil and moral righteousness within our context and understanding. We still can choose to educate our kids, remain faithful to our spouse, work hard, spend wisely, listen more, speak less. We can still choose.